"BQE" redirects here. For the Basque dialect with the deprecated ISO 639-3 code "bqe", see Navarro-Lapurdian dialect. For the Sufjan Stevens album, see The BQE (soundtrack). Interstate 278 (I-278) is an auxiliary Interstate Highway in New Jersey and New York in the United States. The road runs 35.62 miles (57.32 km) from U.S. Route 1/9 (US 1/9) in Linden, New Jersey, to the Bruckner Interchange in the New York City borough of the Bronx. The majority of I-278 is in New York City, where it serves as a partial beltway and passes through all five of the city's boroughs. [a] I-278 follows several freeways, including the Union Freeway in Union County, New Jersey; the Staten Island Expressway (SIE) across Staten Island; the Gowanus Expressway in southern Brooklyn; the Brooklyn–Queens Expressway (BQE) across northern Brooklyn and Queens; a small part of the Grand Central Parkway in Queens; and a part of the Bruckner Expressway in the Bronx. I-278 also crosses multiple bridges, including the Goethals, Verrazzano-Narrows, Kosciuszko, and Triborough Bridges. I-278 was opened in pieces from the 1930s through the 1960s. Some of its completed segments predated the Interstate Highway System and are thus not up to standards, and portions of I-278 have been upgraded over the years. In New York, the various parts of I-278 were planned by Robert Moses, an urban planner in New York City. The segments proposed tore through many New York City neighborhoods, causing controversy. Despite its number, I-278 does not connect to I-78. There were once plans to extend I-278 west to I-78 east of the Route 24 interchange in Springfield, New Jersey. This was canceled because of opposition from the communities along the route. The segment that does exist in New Jersey was opened in 1969. There were also plans to extend I-78 east across Manhattan and into Brooklyn via the Williamsburg Bridge; this would have been a second location where the two highways would have interchanged, but these plans were also thwarted. Two segments of I-278 have had different route number designations formerly planned or designated for it. I-87 was once planned to follow the segment of I-278 between the Williamsburg Bridge and the Major Deegan Expressway, but this ultimately became a part of I-278. Additionally, the Bruckner Expressway portion of I-278 had been designated with different route numbers. At first, it was to be I-895 between I-87 and the Sheridan Expressway and I-678 past there. Later, I-278 was planned to follow the Bruckner Expressway and the Sheridan Expressway to I-95 (with no route number for the Bruckner Expressway past there) before the current numbering took place by 1970, with I-895 designated onto the Sheridan Expressway (which was subsequently downgraded to a state highway in 2017). The New Jersey segment of I-278 begins in Linden, Union County at the junction with US 1 and US 9 (US 1-9), where it merges into the southbound direction of that road. The freeway heads east and carries two lanes in each direction, with the eastbound direction widening to three lanes. I-278 runs between urban residential areas to the north and the Bayway Refinery to the south as it continues into Elizabeth. In this area, the road meets Route 439 and the New Jersey Turnpike (I-95) at the only intermediate interchange that I-278 has in New Jersey. This short length is sometimes called the Union Freeway. After the New Jersey Turnpike, I-278 turns southeast and crosses the Arthur Kill on the six-lane Goethals Bridge to Staten Island, a borough of New York City. This bridge is maintained by the Port Authority of New York and New Jersey. Upon coming onto Staten Island, I-278 becomes the Staten Island Expressway. After the Goethals Bridge, the highway has a toll plaza serving the bridge. At this point, the freeway becomes eight lanes and maintained by the New York State Department of Transportation, coming to an exit for Western Avenue and Forest Avenue before reaching a directional interchange with New York State Route 440 (NY 440, named the West Shore Expressway). NY 440 forms a concurrency with I-278 and the road heads into residential neighborhoods. The road carries four lanes eastbound and three lanes westbound as it comes to the exit serving Richmond Avenue. Immediately after, NY 440 splits from the Staten Island Expressway at a large interchange, heading north on the Dr. Martin Luther King Jr. Expressway. This interchange also provides access to Victory Boulevard. East of this point, the expressway gains a bus lane in each direction. The six-lane I-278 turns to the east past this point, with Gannon Avenue serving as a frontage road, and reaches the Bradley Avenue exit. The next interchange the Staten Island Expressway is with Todt Hill Road and Slosson Avenue. This exchange was the original terminal of the bus lane in each direction that also serves as a high-occupancy vehicle lane that was built in 2005. After Todt Hill Road, I-278 runs through a wooded area where it comes to an incomplete interchange that was to be the northern terminus of the Richmond Parkway. The road continues back into residential areas and comes to an interchange serving Clove Road and Richmond Road. The next interchange the freeway has is with Hylan Boulevard. A short distance later, the Staten Island Expressway comes to a large interchange that serves Lily Pond Road and Bay Street. Immediately after, I-278 reaches the former toll plaza for the Verrazzano-Narrows Bridge, where electronic toll collection is in effect for the westbound lanes. Following the toll plaza area, I-278 goes onto the Verrazzano-Narrows Bridge linking to Brooklyn over the Narrows. This bridge, which is maintained by the Triborough Bridge and Tunnel Authority, has six lanes on the lower level and seven lanes on the upper level which includes 1 HOV Lane. In addition to local traffic on Staten Island, the expressway provides the most direct route from Brooklyn and Long Island to New Jersey. It is widely known throughout the New York area as one of the most congested roads in the city. After the Verrazzano-Narrows Bridge, I-278 continues into Brooklyn on the Gowanus Expressway. Immediately after the bridge, the freeway comes to an eastbound exit and westbound entrance for the Belt Parkway. After this, a full interchange serves 92nd Street at which point I-278 becomes a single-level six-lane freeway. Soon after, one of the eastbound lanes becomes as a high-occupancy vehicle lane. The Gowanus Expressway continues northeast into urban residential neighborhoods and reaches an eastbound interchange at Fort Hamilton Parkway and a westbound interchange at 86th Street. Turning more to the north, I-278 comes to a partial interchange at 65th Street, with an exit eastbound and entrance eastbound. The road curves northwest at this point and comes to a directional interchange providing access to 3rd Avenue and the Belt Parkway. The Gowanus Expressway turns northeast again at the interchange with Belt Parkway, and it continues along an elevated alignment through urban residential and commercial areas. Along this viaduct, I-278 has interchanges with 38th Street/39th Street and the western terminus of NY 27 (Prospect Expressway). After the NY 27 interchange, the freeway widens to eight lanes and heads north, coming to an interchange with the Brooklyn–Battery Tunnel approach (I-478, officially the Hugh L. Carey Tunnel), with the exit ramps splitting from the median of I-278. Westbound access to the tunnel is provided by the Hamilton Avenue exit. In this area, the freeway passes over the Gowanus Canal, an extremely polluted canal that was once used for shipping. The site has been designated a Superfund Site by the Environmental Protection Agency. After the exit for the Brooklyn–Battery Tunnel, I-278 heads north onto the six-lane Brooklyn–Queens Expressway, passing through urban neighborhoods near downtown Brooklyn on a depressed alignment. The next interchange the highway reaches serves Atlantic Avenue. After Atlantic Avenue, the road runs along the East River harbor in downtown Brooklyn/Brooklyn Heights and is partially covered to create the Brooklyn Heights Promenade. I-278, at this point maintained by the New York City Department of Transportation, makes a sharp turn to the east away from the East River and comes to an interchange serving the Brooklyn Bridge and Cadman Plaza. The freeway continues on an elevated alignment and makes a turn southeast as it comes to ramps accessing the Manhattan Bridge. North of the bridges, the highway becomes state-maintained again and reaches at an exit serving Tillary Street and Flushing Avenue. At this point, the Brooklyn–Queens Expressway continues east through residential areas and turns northeast upon coming to the Wythe Avenue/Kent Avenue exit. The road passes through the Williamsburg neighborhood on a depressed alignment, reaching an interchange that serves the Williamsburg Bridge, with an exit at Metropolitan Avenue a short distance later. I-278 becomes elevated again as it passes through more neighborhoods and comes to the interchange with Humboldt Street/McGuinness Boulevard. The Brooklyn–Queens Expressway enters more industrial areas as it comes to Meeker Avenue/Morgan Avenue. I-278 crosses the Newtown Creek into Queens on the Kosciuszko Bridge. Upon entering Queens, the Brooklyn–Queens Expressway runs north between residential neighborhoods to the east and Calvary Cemetery to the west before coming to an interchange with I-495. After I-495, the freeway makes a turn to the east, passing over homes before crossing over New Calvary Cemetery. The road turns northeast through more urban neighborhoods and reaches an interchange at NY 25 (Queens Boulevard). At this point, I-278 becomes city-maintained again and passes under the Long Island Rail Road's Main Line as it continues into a depressed alignment. The Brooklyn–Queens Expressway turns north as it approaches the exit for Broadway and Roosevelt Avenue. I-278 heads back onto a viaduct and comes to a single-point urban interchange at NY 25A. A short distance past NY 25A, the freeway splits into east and west segments with four lanes each that respectively merge into the Grand Central Parkway east- and west-bound. Astoria Boulevard is accessible from either leg. Both legs receive Interstate funding, though only the western leg is signed as part of I-278. I-278 turns west to run along the eight-lane state-maintained Grand Central Parkway, with Astoria Boulevard (and Hoyt Avenue later on) serving as a frontage road. The road runs along a depressed alignment, passing under Amtrak's Northeast Corridor. At the 31st Street interchange, the Grand Central Parkway overlap ends, and I-278 continues northwest along the tolled, eight-lane Triborough Bridge, which passes over Astoria. Eastbound tolls are collected electronically at this point. I-278 crosses the East River on the Triborough Bridge, which maintained by the Triborough Bridge and Tunnel Authority. It then enters Wards Island, which is a part of the borough of Manhattan. On Wards Island, the highway heads north through Wards Island Park and passes to the east of Manhattan Psychiatric Center as it passes over the border onto Randall's Island, which is connected to Wards Island by land. I-278 passes through the bridge's former toll plaza before an interchange that provides access to Franklin D. Roosevelt Drive by way of another segment of the Triborough Bridge over the Harlem River. After this interchange, the Triborough Bridge carries the route over the Bronx Kill into the Bronx, where westbound tolls are collected electronically. In the Bronx, I-278 becomes the Bruckner Expressway and reaches an interchange with the southern terminus of I-87 (Major Deegan Expressway). At this point, the Bruckner Expressway heads northeast on a six-lane elevated alignment through industrial areas with some residences, paralleling the Northeast Corridor. Along this section, there is a westbound exit and eastbound entrance for 138th Street. I-895 splits from the eastbound direction of I-278 as the Bruckner Expressway makes a turn to the east into residential and commercial neighborhoods on a surface alignment, crossing the Bronx River on a drawbridge. The road has an interchange at Hunts Point Avenue before coming to the Bronx River Parkway. Continuing east, the road has an exit serving White Plains Road and Castle Hill Avenue. I-278's eastern terminus is at the Bruckner Interchange further to the east. Here, the Bruckner Expressway becomes I-95 and continues towards the New England Thruway. At this interchange, I-278 also has access to I-295, I-678, and the Hutchinson River Parkway. Legally, the New York section of I-278 is defined as part of Interstate Route Connector 512 and all of Interstate Route Connector 518 in New York Highway Law § 340-a. The New Jersey portion of freeway was planned in 1955 as the Union Freeway and designated as I-278 in 1958. It was to connect the Goethals Bridge west to I-78 at the tripoint of Springfield, Union Township, and Millburn. The western part of this planned freeway faced strong opposition. Even though it was to run along an abandoned railroad right-of-way, it would traverse through dense development in Roselle Park, Kenilworth, and Union Township, thereby making the project further disliked. By 1967, state officials decided not to pursue the continuation of I-278, and used the funds for I-278 to build I-195 across Central New Jersey instead. The only section of I-278 in New Jersey was built between US 1/9 in Linden and the Goethals Bridge, opening to traffic in 1969 at a cost of $11.5 million. The Union Freeway Extension was revived in the late 1960s, and was to start at US 1/9, but end at I-287 in Hanover Township, following the Route 24 freeway between I-78 and I-287. However, the Federal Highway Administration rejected the proposal in 1970, thus ending the I-278 project. The original four-lane Goethals Bridge, which predated the I-278 designation, was replaced with two new 3-lane cable-stayed bridges, each carrying traffic in one direction. The new eastbound bridge opened to both directions of traffic in June 2017, and westbound traffic was shifted to the new westbound bridge in May 2018. The Staten Island Expressway was first planned in 1941 as the Cross-Richmond Express Highway, a freeway connecting the Goethals and Verrazzano (originally Verrazano) bridges that was a part of a comprehensive system of freeways and parkways for the borough of Staten Island. In 1945, Robert Moses took over planning for the freeway and called it the Clove Lakes Expressway. The plan received approval in stages through the mid-1950s and construction on the expressway began in 1959. By this time, the Staten Island Expressway had received the I-278 designation. The construction of the Staten Island Expressway was particularly noted for the massive movement of earth required to build the section of the highway between Clove Road and Price Street (now Narrows Road North, a service road of the expressway) between Grymes Hill and Emerson Hill. The earth removed from the cut in the hill was placed in a remote section of central Staten Island adjacent to Sea View Hospital and has since been nicknamed "Moses Mountain," as a backhanded compliment to the highway's builder. Originally Moses intended for a spur of the expressway, the Richmond Parkway, to follow the central ridge of the island, connecting with the Outerbridge Crossing in the southwestern part of the island. However, there was massive local opposition to this spur, and unlike previous projects by Moses, the northern half of the spur was canceled when Mayor John V. Lindsay took office in 1966. The southern half of this proposed spur was built, however. The aborted section, from the Expressway to Richmond Avenue, has become a part of the Staten Island Greenbelt, one of New York City's public parks. A ramp stub of an interchange on the expressway, cut into the hills of Todt Hill, still exists. Part of the trail system of the Greenbelt was using the abandoned overpass bridge as pedestrian crossing of the Expressway up until 2013, when it was dismantled for lane widening improvements. The first link of the Staten Island Expressway opened in January 1964, from the Goethals Bridge to Victory Boulevard. The remainder opened later that year. The freeway had a total cost of $47 million. In 1998, bus lanes were created on the eastern part of the Staten Island Expressway near the Verrazano Narrows Bridge; they were extended west to Todt Hill Road/Slosson Avenue in 2005. In 2008, the bus lanes were opened to high-occupancy vehicles during rush hours. In July 2008, officials announced a $50 million project to improve the severe traffic conditions on a 1.8-mile (2.9 km) stretch of the expressway. Included in the project is the construction of six new on- and off-ramps, improvements to and relocations of existing on- and off-ramps, and other improvements to surrounding roads. This followed numerous minor alterations to alleviate traffic, such as time/distance displays and the designated bus lanes. Construction started in November 2010, with the project then expected to cost $75 million. A new exit 15, which served Lily Pond Avenue and Bay Street on the eastern end of Staten Island, opened to traffic on July 9, 2012, replacing a former exit further to the east. Signage was also changed to display Fingerboard Road and Lily Pond Avenue as the outlet for the new exit, rather than Lily Pond and Bay Street. On January 17, 2013, westbound exit 13 was permanently closed in favor of a new interchange setup, which involved two new ramps: exit 13B for Richmond Road and Targee Street and exit 13A for Clove Road and Richmond Road. The Gowanus Expressway was initially the Gowanus Parkway, first planned in the 1930s. Construction of the road, overseen by Robert Moses, started in 1939, with the parkway being built on top of the BMT Third Avenue Line. The parkway was completed in 1941 and became part of a Belt Parkway that received the NY 27A designation. The Gowanus Parkway was to be reconstructed into the Gowanus Expressway in the 1950s to connect the Verrazano Narrows Bridge to the Brooklyn–Battery Tunnel. The first segment of the Gowanus Expressway, from the Brooklyn–Battery Tunnel to the Prospect Expressway (NY 27), was opened in May 1950. The freeway was initially planned to be twelve lanes, with two 3-lane roadways in each direction, but it was ultimately reduced to a six-lane highway to reduce disruption to the Bay Ridge neighborhood. The Gowanus Expressway was incorporated into the Interstate Highway System and became a component of I-278. The conversion of Gowanus Expressway to a six-lane freeway configuration was completed in 1964 at a cost of $100 million. The NY 27A designation was removed from the Gowanus Expressway by 1970. By 2000, a high-occupancy vehicle lane was added to the eastbound Gowanus Expressway to serve traffic heading toward Manhattan. Over the years, the viaduct structure of the Gowanus Expressway has deteriorated. In 1998, a $16 million feasibility study for a tunnel for the Gowanus Expressway was awarded. The New York State Department of Transportation was considering putting the road in a tunnel, but in November 2011 the Federal Highway Administration canceled the project. The viaduct's vertical steel supports show material missing due to rust, but the federal government promises it won't collapse. The Brooklyn–Queens Expressway was initially planned in 1936 as the Brooklyn–Queens Connecting Highway, a link between the Gowanus Parkway and the Triborough Bridge. The brief portion of I-278 on the Grand Central Parkway, connecting the Brooklyn–Queens Expressway and the Triborough Bridge, had opened in the 1930s. A part of the Brooklyn–Queens Connecting Highway, namely the Kosciuszko Bridge and the viaducts leading to the bridge, opened in 1939 between Meeker Avenue and Queens Boulevard (NY 25). In 1940, Moses proposed an expressway between Queens and Brooklyn to relieve local streets of congestion from the Manhattan and Williamsburg Bridges. The section between the Kosciuszko and Williamsburg Bridges opened on May 25, 1950. A further extension between the Brooklyn–Battery Tunnel and the Brooklyn Bridge, which included the Brooklyn Heights Promenade, was opened on June 23, 1954, connecting to the Gowanus Expressway. This was followed by a mile-long section between the Williamsburg Bridge and Flushing Avenue on September 1, 1958. Two sections of the expressway opened on August 26, 1959: a segment between the Brooklyn Bridge and Tillary Street in Brooklyn, and between the Grand Central Parkway and Roosevelt Avenue in Queens. The expressway between Tillary Street and Flushing Avenue, around the Brooklyn Navy Yard, was opened shortly thereafter on January 6, 1960. The road in its entirety was completed on December 23, 1964 at a cost of $137 million, with the opening of a mile-long underpass connecting Queens Boulevard with Roosevelt Avenue. The major interchange with the Long Island Expressway was rebuilt in 1966 for $32.7 million. The construction of the Brooklyn–Queens Expressway, overseen by Moses, tore through many residential neighborhoods in Brooklyn and Queens instead of following the East River. One portion of the expressway, the two-tiered Promenade section in Brooklyn Heights that was designed by Moses, was originally planned to go straight through Hicks Street, then connect to the Brooklyn Bridge at Adams Street. Another route that was proposed by Moses would have continued up Hicks Street past Atlantic Avenue, removing all the buildings on one side of Court Street, then curving east into Tillary Street (at Cadman Plaza). The Brooklyn Heights Association was able to fight these proposed routes, which created the two-tiered section above Furman Street with the Promenade over it. Several tunnels were later proposed to replace the Promenade, but none of the tunnel proposals were supported or funded. In 1958, existing segments of the expressway were eligible for interstate highway funding. For a short time, the segment of highway between the Triborough Bridge and the Williamsburg Bridge was to be designated I-87 and continue north as the Major Deegan Expressway. By 1959, the I-278 designation was given to the entire length of the highway. Since the roadway was constructed prior to modern expressway standards, the road needed to be upgraded to meet these standards. By the 1990s, a major multiyear project beginning in the 1980s brought upgrades to the Brooklyn–Queens Expressway. In the early 2000s, the expressway underwent another upgrade project that replaced the viaduct within downtown Brooklyn and Fort Greene. Simultaneously, the Queens section of the BQE between Queens Boulevard and 25th Avenue was also renovated. The Koscisuzko Bridge was replaced from 2014 to 2017 with a new eastbound span that temporarily served both directions of traffic. A second span of the Kosciuszko Bridge would open in 2020 for westbound traffic, adding more lanes to the BQE across the bridge. Formerly, the frontage road of the Grand Central between BQE and the RFK Bridge served as a truck route, since large trucks are not permitted on the parkway. Exemptions are provided for smaller trucks that conform with strict regulations, but only on the section of the Grand Central that overlaps with I-278. In December 2017, the state concluded a $2.5 million project that lowered the roadbed of the section of the parkway that is concurrent with I-278. This section of I-278 now has a 14-foot (4.3 m) vertical clearance, which allows most trucks to stay on I-278. In 1999, the think tank Reason Foundation proposed placing the Brooklyn–Queens Expressway within Brooklyn Heights in a tunnel. However, the NYCDOT did not seriously consider this suggestion until 2016, when it studied six possible tunnel configurations. The NYCDOT found that only the tunnel option starting at 21st Street on Third Avenue and ending near Kent Avenue in Williamsburg would be feasible. This option would have served as a bypass, with vehicles heading to Downtown Brooklyn, or the Manhattan and Williamsburg Bridges using the triple cantilever structure, which would be tolled. At the same time, the Brooklyn Heights Promenade was deteriorating significantly, and was set to undergo renovations starting 2020. The structure is supported by steel roads inside rebar, which is corroding due to the seeping of road salt into widening cracks. If nothing was done on the roadway by 2026, weight restrictions would have to be implemented, with trucks diverted to local roads, and by 2036, the city would have to shut down this section of the BQE. In fall 2018, the New York State Department of Transportation (NYSDOT) proposed rebuilding the double-decker, 1.5-mile (2.4 km) section of I-278 running under the Brooklyn Heights Promenade, which had deteriorated severely over the years. Two options were proposed. The cheaper option, which would cost $3.3 to $3.6 billion and take six years, entailed building a temporary 6-lane highway in the location of the Promenade while they repaired the underlying structure. Under this option, lanes would be widened, and shoulders would have been added. In conjunction with the project, the NYCDOT hoped to unify Van Voorhees Park, improve safety at the interchange with Atlantic Avenue and possibly build a pedestrian bridge from Brooklyn Bridge Park to the Promenade. The other, more expensive option, which would cost $3.4 to $4 billion and take over 8 years, was to repair the existing 6-lane highway one lane at a time. The Promenade walkway would be closed for up to six years under the first option, and for two years under the second option, with periodic closures for construction use. The NYCDOT commissioner, Polly Trottenberg, called the project “the most challenging project not only in New York City, but arguably in the United States right now.” $1.7 billion in city funding was allocated for the project, with the remainder to be footed from the state and federal governments. Because of sizable opposition to demolishing the promenade, mayor Bill de Blasio later stated that his administration was open to considering other ideas, including routing the expressway over Brooklyn Bridge Park. Hundreds of people, including Brooklyn Borough President Eric Adams and City Comptroller Scott Stringer, rallied on the promenade, calling for more public review. Local residents are strongly opposed to the construction of the temporary 6-lane highway as it would run right up against their homes. In response, the Brooklyn Heights Association came up with an alternate plan, which called for the construction of a temporary bilevel roadway running besides the promenade on land including a parking lot. Support for reducing the size of or tearing down the BQE increased, with articles in New York Magazine and The Wall Street Journal calling for the removal of the highway. They noted how the removal of highways in other cities improved local neighborhoods and led to economic development. Commissioner Trottenberg had dismissed calls to tear down the highway saying that the city got most of its freight by truck and that "For better or for worse, these Moses-built highways … now the city has grown around them and it’s not an option to just say we can’t deal with that traffic." City Council Speaker Corey Johnson called for the city to study alternatives, including the removal of the BQE in its entirety, in his State of the City address. On March 13, 2019, Stringer issued a plan calling for converting the triple cantilever structure and the open cut in Cobble Hill into a truck-only highway between Hamilton Avenue in Carroll Gardens and the Brooklyn Bridge. Under the plan, only the bottom level would be rebuilt, and then be decked over by a linear park and boulevard. The report expected passenger vehicles to be diverted into the underused Brooklyn–Battery Tunnel, whose tolls might be lowered when congestion pricing in New York City was implemented. In early April, de Blasio announced that he would create a panel to formally evaluate each alternative, and that the panel's evaluations would end by mid-2019. The Bruckner Expressway was originally the Bruckner Boulevard, designated as part of NY 1A. In the 1930s, a freeway was planned on the Bruckner Boulevard alignment in order to provide a connection between the Triborough Bridge and a freeway leading north into Westchester County. Moses took over planning for the road in 1951 and called for an elevated freeway between the Triborough Bridge and the Bronx River and a depressed freeway east of there. Construction on the elevated segment of the Bruckner Expressway began in 1957 and on the depressed segment in 1959. The depressed portion was opened in 1961 while the elevated portion of the Bruckner Expressway was opened in 1962. In 1972, the large Bruckner Interchange was finished, completing the route. Over the years, the I-278 portion of the Bruckner Expressway has had different designations. When the Interstate Highway System was first created, the road was to be part of I-895 from I-87 to the Sheridan Expressway and I-678 from there to I-95. Later, I-278 was planned to follow the Bruckner Expressway from I-87 to the Sheridan Expressway, where it would continue on that freeway to I-95, while the Bruckner Expressway was not designated an interstate north of there. By 1970, I-278 was routed onto its current alignment, with I-895 created along the Sheridan Expressway. ^ It does not go through the island of Manhattan, but does pass through Randalls and Wards Islands, which are technically a part of the borough of Manhattan. ^ a b c d e f g "I-278 Straight Line Diagram" (PDF). New Jersey Department of Transportation. Retrieved February 9, 2010. ^ a b c d e f g h i j k l m n o p q r s t u v w x y z aa "2010 Traffic Volume Report for New York State" (PDF). New York State Department of Transportation. July 25, 2011. pp. 204–205. Archived from the original (PDF) on September 27, 2012. Retrieved April 9, 2012. ^ a b c d e f g h i j k l m n o p q r s t u v w x y z aa ab ac ad ae af Google (February 9, 2010). "overview of Interstate 278" (Map). Google Maps. Google. Retrieved February 9, 2010. ^ a b Yates, Maura (January 11, 2008). "Staten Island Expressway bus lane open to HOV starting Monday". Staten Island Advance. Retrieved February 9, 2010. ^ a b c O'Grady, Jim (November 22, 1998). "Neighborhood Report: Staten Island Up Close; Greenbelt Fans Want Routes Off the Maps". The New York Times. ISSN 0362-4331. Retrieved February 9, 2010. ^ a b c WABC (December 21, 2016). "MTA rolls out cashless toll schedule for bridges, tunnels". ABC7 New York. Retrieved December 25, 2016. ^ a b "MTA Bridges and Tunnels". MTA Bridges & Tunnels. Retrieved February 10, 2010. ^ Staten Island Expressway Bridge Rehabilitation and TSM Measures. TRC Companies, Inc.
^ a b Liff, Bob (March 6, 2000). "Study: Keep HOV Lane at Gowanus". New York Daily News. ^ Held, James E. (May 1, 1999). "Currents of change: Can Brooklyn's Gowanus Canal be Cleaned Up?". E – The Environmental Magazine. 3 (10). Retrieved January 5, 2017. ^ "Gowanus Canal site description" (PDF). EPA. Archived from the original (PDF) on June 4, 2011. Retrieved March 10, 2010. ^ Navarro, Mireya (March 2, 2010). "Gowanus Canal Labeled Superfund Site, Over City's Objections". The New York Times. Retrieved January 9, 2017. ^ a b c d "NYSDOT – Region 11 (New York City) Built and Unbuilt Arterial System". New York State Department of Transportation. Retrieved October 3, 2007. ^ NYCDOT Bridges &Tunnels Annual Condition Report 2010 (PDF). New York City Department of Transportation. p. 199. ^ a b c d e Wright, George Cable (September 19, 1958). "New Roads With New Numbers Will Parallel Old U.S. Routes". The New York Times. ISSN 0362-4331. Retrieved September 26, 2017. 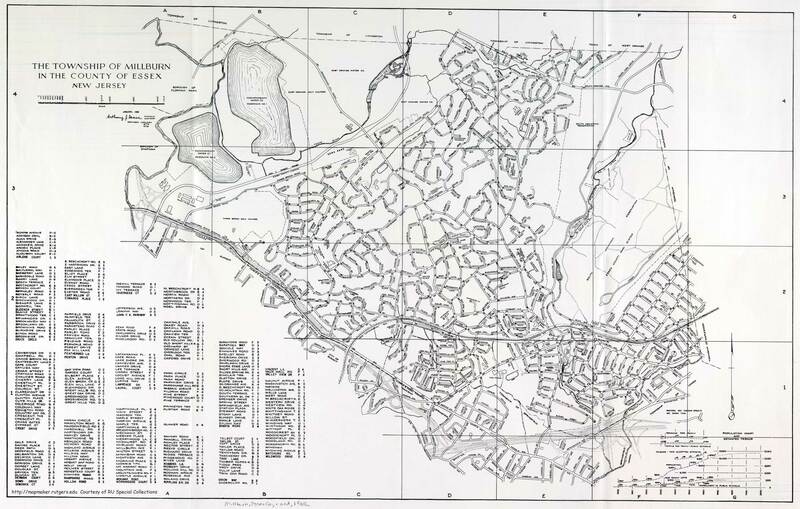 ^ The Township of Millburn in the County of Essex New Jersey (Map). Millburn, New Jersey. 1968. Retrieved February 13, 2010. ^ a b c Arterial Progress 1959–1965. Triborough Bridge and Tunnel Authority. 1965. ^ * Union County Sheet 1 (Map). New Jersey Department of Transportation. 1967. Retrieved February 13, 2010. Union County Sheet 2 (Map). New Jersey Department of Transportation. 1967. Retrieved February 13, 2010. ^ New Jersey Highway Facts. New Jersey Department of Transportation. 1967. ^ "S.I.-to-Turnpike Link Is Opening Tomorrow". The New York Times. October 29, 1969. ISSN 0362-4331. Retrieved September 27, 2017. ^ Report on the Status of the Federal-Aid Highway Program. U.S. Senate Committee on Public Works. 1970. ^ Porpora, Tracey (June 11, 2017). "Goethals Bridge now open in both directions". SILive.com. Retrieved June 12, 2017. ^ Grunlund, Maura (May 21, 2018). "First a.m. rush hour for new Goethals Bridge to New Jersey". SILive.com. Retrieved May 21, 2018. ^ a b Master Plan: Express Highways, Parkways and Major Streets. New York City Planning Department. 1941. ^ a b Joint Study of Arterial Facilities. Port of New York Authority and Triborough Bridge and Tunnel Authority. 1955. ^ Bennett, Charles G. (June 20, 1957). "Span Approaches Approved by City". The New York Times. ISSN 0362-4331. Retrieved September 26, 2017. ^ a b Caro, Robert A. (1974). The Power Broker. Vintage Books-Random House. ^ a b "State announces $50M project to improve X-way". Staten Island Advance. August 1, 2008. ^ a b Ingraham, Joseph C. (November 21, 1964). "New Bridge and Roads Will Save Time, Trouble and Tolls". The New York Times. ISSN 0362-4331. Retrieved September 27, 2017. ^ "Push Is On for Varied Road Tolls". New York Daily News. November 23, 1998. ^ Solomonow, Seth (November 27, 2005). "New Bus Lanes Earn Cheers, Jeers from Motorists". Staten Island Advance. ^ Yates, Maura (November 22, 2017). "Staten Island Expressway improvements set to begin - with inconveniences". Staten Island Advance. Retrieved September 26, 2017. ^ "New Last Exit Before Brooklyn-bound Verrazano-Narrows Bridge In Place Beginning Mon., July 9th" (Press release). New York, New York: MTA Bridges and Tunnels. July 6, 2012. Retrieved August 26, 2012. ^ "A new exit ramp on Staten Island Expressway makes its debut". Staten Island Advance. July 9, 2012. Retrieved September 26, 2017. ^ Sedon, Michael (January 18, 2013). "comments New Exit 13B opens on Staten Island Expressway". Staten Island Advanced. Retrieved August 1, 2014. ^ New Parkways in New York City. New York City Department of Parks and Recreation. 1937. ^ "MORE MOSES 'LOOPS' FORM; Parkway System Gets New Links Throughout City -- Complete in 1943". The New York Times. June 29, 1941. ISSN 0362-4331. Retrieved September 27, 2017. ^ "NEW HIGHWAY LINK TO OPEN THURSDAY; No Ceremony to Mark Event at Queens Connecting Lane, Cashmore Announces". The New York Times. May 21, 1950. Retrieved November 14, 2018. ^ a b Map of Metropolitan New York (Map). Cartography by H.M. Gousha. Chevron Oil Company. 1969. ^ a b Map of New Jersey (Map). Cartography by General Drafting. Esso. 1970. ^ Herman, Peter and Albert Appleton (November 13, 1996). "Reconstructing the Gowanus: A Tunnel Is a Realistic Alternative to the Elevated Roadway". New York Law Journal. ^ Stamler, Bernard (December 13, 1998). "Gowanus Expressway: Trouble Overhead". The New York Times. Retrieved February 13, 2010. ^ "Gowanus Project". New York State Department of Transportation. Retrieved November 30, 2006. ^ Daniel Bush (December 1, 2011). "Get used to the Gowanus!". Brooklyn Daily. Retrieved June 11, 2012. ^ James Howard Kunstler (June 1, 2012). "June 2012 Eyesore of the Month". Eyesore of the Month. Archived from the original on July 6, 2012. Retrieved July 6, 2012. ^ Daniel Bush (December 1, 2011). "Gowanus Expressway: History of a highway". The Brooklyn Paper. Retrieved June 11, 2012. ^ a b "'FREEWAY' IS NOW URGED; Protected Border Express Roads Advocated for New York Region". The New York Times. December 13, 1936. ISSN 0362-4331. Retrieved September 27, 2017. ^ "Motorists on the Road". The New York Times. September 5, 1937. ^ "MAYOR OPENS SPAN WITH PEACE PLEA; Denounces Foes of Amity at Dedication of $13,194,399 Meeker Ave. Bridge SEES NEIGHBORLY SYMBOL Hatred Artificial, He Warns-- Brooklyn-Queens Link Gives New Routes". The New York Times. August 24, 1939. ISSN 0362-4331. Retrieved September 26, 2017. ^ Vital Gaps in the New York Metropolitan Arterial System. Triborough Bridge Authority. 1940. ^ "NEW HIGHWAY LINK TO OPEN THURSDAY; No Ceremony to Mark Event at Queens Connecting Lane, Cashmore Announces". The New York Times. May 21, 1950. ISSN 0362-4331. Retrieved September 26, 2017. ^ "3-LEVEL ROAD LINK IN BROOKLYN OPEN; Downtown Congestion Eased by $12,000,000 Section of 11-Mile Expressway STARK AND MOSES DIFFER Council Head Assails State on Highway Spending Here and Gets Quick Reply". The New York Times. June 23, 1954. Retrieved November 14, 2018. ^ Stengren, Bernard (September 1, 1958). "HIGHWAYS LINKED IN THREE COUNTIES; Units Costing $16,000,000 in Kings, Queens, Nassau Opened by Governor". The New York Times. Retrieved November 14, 2018. ^ Stengren, Bernard (August 26, 1959). "Next-to-Last Brooklyn Section Of Expressway Open to Traffic; Brooklyn-Queens Link Runs to Civic Center -- Park Ave. Lanes Due in Use in Fall". The New York Times. Retrieved November 14, 2018. ^ "EXPRESSWAY LINK IN BROOKLYN OPEN; Viaduct Near Navy Yard Put Into Service -- Mayor Sees Road as Boon to Industry". The New York Times. January 6, 1960. Retrieved November 14, 2018. ^ "$32-Million Queens Cloverleaf Approved by Board of Estimate; It Will Link Brooklyn-Queens and Long Island Expressways 50 Maspeth Homeowners Protest Vainly". The New York Times. May 21, 1966. ISSN 0362-4331. Retrieved September 26, 2017. ^ Liff, Bob (December 4, 1988). "New York: Chess in Concrete". Newsday. New York City. ^ Farmer, W. Paul (July 3, 2015). "Alexander Garvin. (2013). The Planning Game: Lessons From Great Cities. New York, NY: W. W. Norton & Company". Journal of the American Planning Association. 81 (3): 238. doi:10.1080/01944363.2015.1077075. ISSN 0194-4363. ^ Berger, Joseph (September 24, 2010). "Rebuilding the B.Q.E. Prompts 4 Tunnel Plans". The New York Times. ISSN 0362-4331. Retrieved September 26, 2017. ^ Leon, Alexandra (June 30, 2016). "Tunnel Likely Won't Replace 'Crappy' BQE in Brooklyn Heights, City Says". DNAinfo New York. Archived from the original on September 26, 2017. Retrieved September 26, 2017. ^ Faison, Seth (January 4, 1993). "New Year Brings New Road Projects to Test Commuters' Patience". The New York Times. Retrieved February 13, 2010. ^ "Most Of BQE Upgrade To Be Completed By Sept". The Queens Gazette. February 25, 2004. Retrieved February 13, 2010. ^ Cogan, Thomas (June 23, 2004). "BQE Renovations Near Completion". Queens Gazette. Retrieved December 26, 2016. ^ a b Blain, Glenn (April 23, 2017). "Kosciuszko Bridge to make flashy Thursday debut, featuring Cuomo". NY Daily News. Retrieved April 23, 2017. ^ Matua, Angela (December 15, 2017). "Trucks will be permitted on Grand Central Parkway in Astoria, ending 'soul-piercing' noise on local streets - QNS.com". Queens Courier. Retrieved December 24, 2017. ^ Samuel, Peter; Poole Jr., Robert W. (1999). How To Build Our Way Out of Congestion (PDF). Reason Public Policy Institute. ^ BQE Tunnel 3-D Feasibility Study Volume I- Report (PDF). New York City Department of Transportation. April 2016. ^ Hu, Winnie (November 28, 2016). "Dreaded by Drivers, Brooklyn-Queens Expressway Is Set for Repairs". The New York Times. ISSN 0362-4331. Retrieved December 26, 2016. ^ a b c Berger, Paul (September 28, 2018). "New York City Will Consider New Option for BQE in Brooklyn Heights". WSJ. Retrieved October 5, 2018. ^ a b c d "The Famed Brooklyn Heights Promenade May Close for Years. Here's Why". The New York Times. October 4, 2018. Retrieved October 5, 2018. ^ "BQE rehab plan would replace Brooklyn Heights Promenade with 6-lane highway | Brooklyn Daily Eagle". www.brooklyneagle.com. Retrieved October 1, 2018. ^ a b Barone, Vincent (September 20, 2018). "Brooklyn-Queens Expressway's proposed improvements could be disastrously disruptive". AM New York. Retrieved March 14, 2019. ^ Bellafante, Ginia (October 5, 2018). "Brooklyn Heights Is Fighting Robert Moses Again". The New York Times. ISSN 0362-4331. Retrieved March 14, 2019. ^ "De Blasio softens support for plan that would turn Brooklyn Heights Promenade into 6-lane highway". Brooklyn Daily Eagle. October 22, 2018. Retrieved October 24, 2018. ^ Hu, Winnie (January 24, 2019). "The L Train Shutdown Was Averted. Can the Brooklyn Promenade Stay Open Too?". The New York Times. ISSN 0362-4331. Retrieved March 14, 2019. ^ Kadet, Anne (November 6, 2018). "Here's a Possible Fix for the Brooklyn-Queens Expressway: Tear It Down". The Wall Street Journal. ISSN 0099-9660. Retrieved March 14, 2019. ^ Davidson, Justin (December 10, 2018). "Here's a Solution for Fixing the Brooklyn-Queens Expressway: Get Rid of It". Intelligencer. Retrieved March 14, 2019. ^ Let's Go: A Case for Municipal Control and a Comprehensive Transportation Vision for the Five Boroughs (PDF). New York City Council Speaker Corey Johnson. March 5, 2019. ^ "Comptroller Stringer Proposes New Vision for BQE Reconstruction". comptroller.nyc.gov. Office of the New York City Comptroller. March 13, 2019. Retrieved March 14, 2019. ^ "A New Vision for Brooklyn, A New Vision for the BQE" (PDF). comptroller.nyc.gov. Office of the New York City Comptroller. March 13, 2019. Retrieved March 14, 2019. ^ "City creates expert panel to evaluate BQE reconstruction". Brooklyn Eagle. 2019-04-03. Retrieved 2019-04-04. ^ "De Blasio slams brakes on BQE reconstruction". Crain's New York Business. 2019-04-03. Retrieved 2019-04-04. ^ New York Info-Map (Map). Cartography by Rand McNally and Company. Gulf Oil Company. 1940. ^ New York (Map). Cartography by General Drafting. Esso. 1940. ^ Traffic Improvement of Bruckner Boulevard. Triborough Bridge and Tunnel Authority. 1951. ^ "ELEVATED ROAD TO OPEN IN BRONX; 2.4-Mile Viaduct Will Help Speed Bruckner Traffic to New England Area". The New York Times. October 18, 1962. ISSN 0362-4331. Retrieved September 27, 2017. ^ Prial, Frank J. (December 21, 1972). "The Bruckner Interchange Open at Last". The New York Times. Retrieved September 27, 2017. ^ Google (January 6, 2017). "Interstate 278 (New York)" (Map). Google Maps. Google. Retrieved January 6, 2017. "Richmond County Inventory Listing" (CSV). New York State Department of Transportation. August 7, 2015. Retrieved September 5, 2017. "New York County Inventory Listing" (CSV). New York State Department of Transportation. August 7, 2015. Retrieved September 5, 2017. "Bronx County Inventory Listing" (CSV). New York State Department of Transportation. August 7, 2015. Retrieved September 5, 2017. ^ "Port Authority approves Goethals Bridge 'link' with Routes 1&9". NJ.com. Retrieved October 4, 2014. Wikimedia Commons has media related to Interstate 278.